What's the Big Bird(ing) Idea? It took me 2 years before I finally got up enough nerve to go on a “proper bird walk” sponsored by a local ornithological organization. Geoffrey Williamson is an expert birder that leads the walk. I was told he was “the man”, in terms of birds and learning how to bird – he is. Geoffrey “Magic Ears” Williamson is a wonderful teacher when it comes to anything and everything bird (his other life is the Associate Dean for Analytics for Armour College of Engineering and Professor of Electrical and Computer Engineering at IIT). I joke that Geoffrey Williamson was “a reluctant mentor” to me (oh yes, he was). However, Geoffrey Williamson helped open up birding experiences that I had limited access to. I’ve made images of birds, birding landscapes and written poetry that expresses the pure joy and gratitude from so many amazing birding moments. He has also added another level of meaning to the birds scientifically beyond identification – in terms of their vocalizations, their behaviors, context, history and has also taught me about insects and trees – their habitat. Which is our habitat. Life has become more meaningful because I’ve gained a deeper understanding of what is surrounding me. This has also led to many powerful creative light-bulb moments. We are two unlikely cohorts - as seen in this picture I took while we were birding Loyola Park: The Corgi and the T-Rex are very different, yet they share the “tiny arms” of birds in common – high-five to that! Below is the Krebs Cycle of Creativity. I love the idea that through our collaboration, we represent the whole cycle. I’m the left side: Art/Design and he is the right side: Science/Engineering, yet somehow we are able to connect our creative sensibilities…usually through a lot of debate and discussion…and more debate…and a lot more discussion. We are constantly learning from each other because we are so completely different. As a Bird Who Loves Birds, I wanted to see what would happen if we collaborated from our very different viewpoints (sides of the wheel) about birds. When I first approached Geoffrey Williamson about the concept of The Nerd and the Bird – he wasn’t really sure what to think. My husband, Geoff, first suggested that Geoffrey Williamson and I do a Podcast together based on a serious yet funny debate-filled-dinner at our house. To me, birding is an exploration and adventure - a platform for creativity, curiosity and connection to the extraordinary birds that migrate to and through Chicago. I love learning to identify birds, experiencing them (the moment of presence - being taken out of yourself, but then back to yourself), learning their stories and creating work inspired by them. In addition, I always advocate that there be an "after-party" after birding - for more discussion about our experiences! It makes the adventure even better because we feast/drink to/savor the experience on another level in the areas/neighborhoods we go birding. 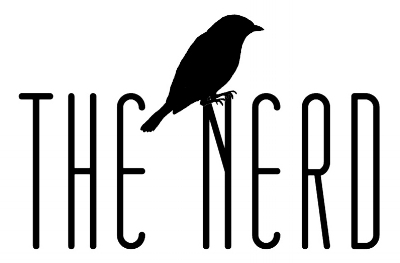 Please enjoy The Nerd and the Bird as we explore birds and Chicago! It was on a North Pond Bird Walk that I met Jennifer Hoffman. Over 15 years ago I had started the North Pond Bird Walks as something of a break from my constant visits to Montrose Point. I figured that these walks would both let me explore a different part of Lincoln Park’s birdlife and also let me share what I had learned about Chicago’s birds with other people who were interested. The North Pond Bird Walks became known as a way for people to get access to experiencing birds in Chicago. Jennifer was one such person, and that is how she and I came to know each other. I am somewhat ashamed to admit how long it took me to realize that Jennifer was reshaping how I experienced birds in Chicago at the same time that I was facilitating her experiences. I was very caught up in the world of bird identification, the world of status and distribution of birds, the world of applying a knowledge of the natural history of birds to the task of figuring out what is happening bird-wise around you, and to figuring out where and when to find particular kinds of birds. I still am caught up in that. It’s a lot of fun, it makes me happy, and sharing it with others spreads that fun and happiness. But birding with Jen has me taking more time to enjoy the unfolding moment of observation and to notice a bigger picture surrounding the birds, in a sense returning to the wonder that birding evoked in my inquisitive youth. My sense of what it means to bird Chicago has also expanded because of her. It’s not just the seeing the birds. It’s being in a story with them, in Chicago, and sharing and revisiting that story not only at the moment of the birding but also as you settle back into the city. During our adventures, Jennifer and I react to these experiences in different ways, which adds an element to my time birding that wasn’t present before. Perhaps most illustrative of this is that the birding experiences inspire Jen to create art. Her bird-related work captivates me. I think at first I was in conflict with it. I was placed in unfamiliar territory, trying to look at birds in her art the way I look at birds in the wild. But when I let go of that tendency, and just LOOK, patterns emerge in fascinating ways. I now enjoy her work as beauty and bird combined. As our urban birding adventures progress, my scope of hometown birding expands. Jen’s and my birding together has me spending more time in her birding patch, Margate Park, a section of my beloved Lincoln Park that I’d not visited much before. From there we began exploring further afield within the city, finding birds everywhere we went, and sharing and re-experiencing the joy of discovery over a bite or a beer in a nearby neighborhood establishment. The birding element in each adventure has an individual character and unique qualities. Those aspects are enhanced when coupled with a restaurant or a bar that itself has character and quality. Jen for me is the catalyst making it all happen. What I love about it is that my love for nature, and my love for the city, come together in a way that is really exhilarating. I look back to that time when I was worried that city life would keep me from nature. Looking ahead to the birding adventures to come here in Chicago, I just know that they will show how wrong that thought was. And that makes me so happy! Through our art and science collaboration - we hope to encourage curiosity, exploration, understanding, joy and connection to the birds and neighborhoods of Chicago. Neighborhood birding is the priority. Close to transit or in walking/biking distance. An easy way to connect with nature. The birding adventure begins! It’s time to explore neighborhoods, be curious, share our experiences, learn a lot together and from each other. We’re the Lewis and Clark (or rather Louise and Clark)...Daniel and Danielle Boone of birding in Chicago! High-five, let’s go!